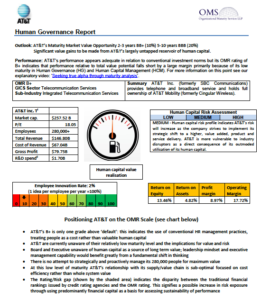 Our new, integrated Human Governance Report (HGR) on AT&T is the first of its kind. It has been produced as part of MI’s ground-breaking research collaboration with Harvard Law School’s Pension and Capital Stewardship Project into the S&P500 and other global stock indices. 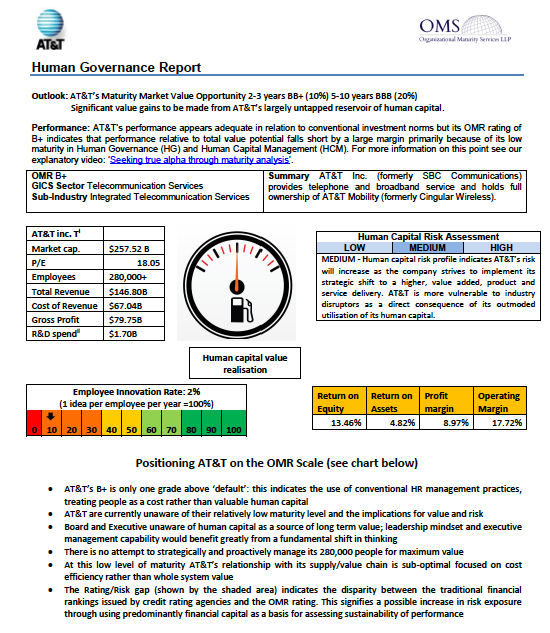 The report advises that AT&T have significant market value opportunities (20%+ over 5 years) if the company were able to develop more effective human governance. It also breaks new ground by utilizing traditional financial analysis to complement the perspective of viewing the company through the lens of human governance.